Athina Rachel Tsangari produced several of Yorgos Lanthimos’ films, notably Dogtooth (2009) and Alps (2011), both of which I’ve seen and enjoyed. I missed her last feature Attenberg (2010), but it’s clear that she and Lanthimos share a certain absurd sensibility: they create their own worlds in which very particular rules apply. These rules, in fact, are often made up by their characters as a form of game-playing or a way to control other characters. 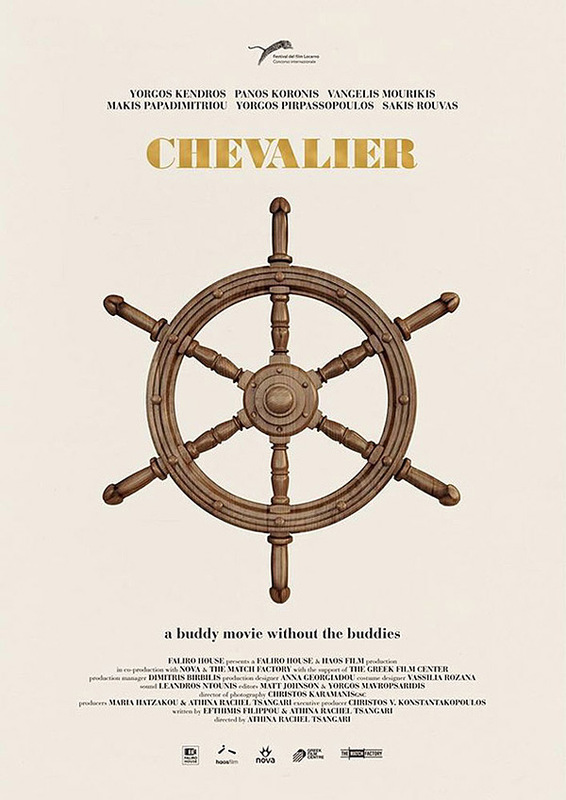 Chevalier is no different. A group of men, connected through family, work, or friendship, are enjoying a vacation together on a yacht in the Aegean Sea when they come up with an idea. A contest to determine who is the best of them all. The winner will wear a distinctive signet ring on his pinkie, but the competition will be fierce. Tsangari’s film is a hilarious sendup of male insecurity, vanity, and competitiveness. We’ll see aggression but only of the passive variety, as modern masculinity is put under the microscope. And watch for an amazing scene involving the assembly of IKEA furniture. This is satire of the highest quality, poking fun at the absurdities of “manhood” while still maintaining sympathy for its characters. It’s notable that Tsangari’s co-writer is Efthymis Filippou, who also co-wrote all of Lanthimos’ recent films, including The Lobster, which is also playing in this year’s TIFF lineup. Filippou has a rather interesting web page. This entry was posted in Film Festivals, TIFF and tagged #tiff15. Bookmark the permalink.